Caption slip reads: "Photographer: Sansone. Date: 1952-01-15. Reporter: Markson. 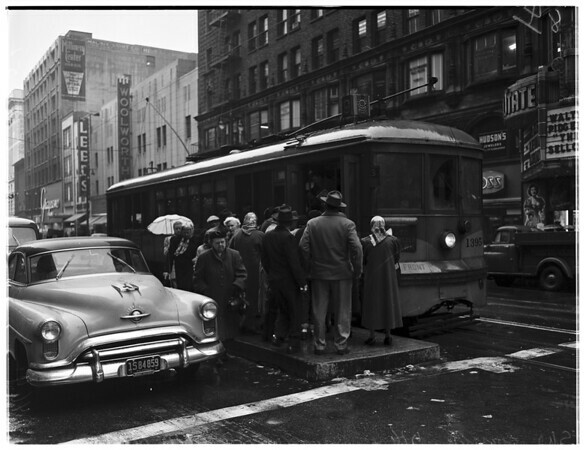 Assignment: Street car riders. 91: Street car riders, Southwest corner , 7th & Hill Street, 8:45 am. 92: Southwest corner, 7th and Broadway, 9 am. 63-84: Southwest corner, 7th and Broadway, 9:10 am".